Castello dell'Imperatore is a castle with crenellated walls and towers. 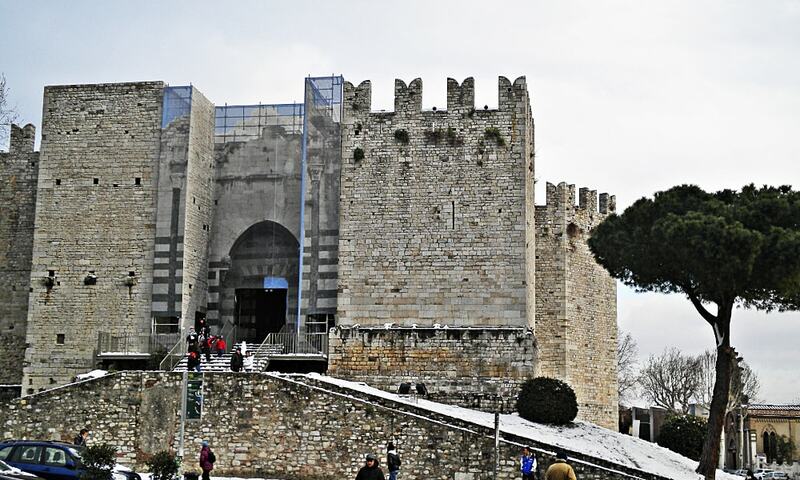 Built for the medieval emperor and King of Sicily Frederick II, Holy Roman Emperor, it was built on top of a previous fortification of which two towers remain. When Frederick II died, building was stopped and the interior was never finished. The castle is open to the public and although some destruction took place during the fascist regime, reconstruction work has begun and is ongoing.